Delhi is the heart of India. It is a city, which despite of being in the face of so many political upheavals for centuries, is still one of the most flourishing metropolis of India. The city has been one of the oldest inhabited parts of India. It has been settled, captured, conquered, looted, rebuilt and resurrected numerous times in the history. Today, the historical monuments scattered around the city speaks of the various cultures and traditions that prevailed here, throughout the time. The civilization here has prospered, trade has bloomed, arts and crafts have thrived and traditions and cultures have amalgamated with each other beautifully. For one of the busiest and most densely populated cities in the world, and constant influx of immigrants, travelling is a challenge. At Tixilo.com, we take this challenge as our own and strive to provide the best car rental Delhi services, to make travelling convenient and enjoyable. We are one of the largest car rental services in Delhi. We have a large fleet of well maintained cars, to offer you a range of services from flexible day to day commute or luxury travels. We take great pride in providing the best services at the most competitive rates. Our staffs are well trained to handle your queries and our professional chauffeurs are skilled and responsible. Delhi the capital city of India its own historical, Political, business values. Every day people travel for work, entertainment or just for exploring the city. And for their commutation needs, they look for a comfortable means. This is why you can find a galore of car rental providers in this ever busy city. Out of all, the Tixilo cab services are the best and reliable and is thus chosen by thousands of customers. 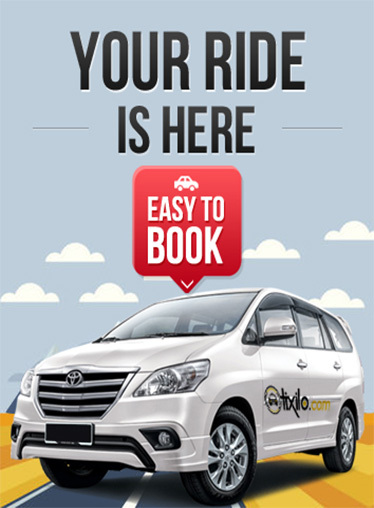 Why choose a Tixilo cab in Delhi? As a commuter, you always look for a secure, comfortable, and timely ride. And we at Tixilo completely understand that and therefore bring to you the best in class taxi services, which are not only safe and prompt, but are also easy on pocket. From past 10 years, Tixilo car rental service have been serving in the major cities of India and Delhi (NCR) is one of them. We make sure that your journey in Delhi is safe, comfortable, secure and reliable. To add to this, our services can be availed at affordable prices. Our experienced and trained driver are very familiar with all places of Delhi to make your ride smooth and hassle free. 24X7 Car rental service at your doorstep. Fleet of cabs to choose from. Well equipped car to fulfil customer’s needs. Cheap and Affordable Price with quality. Easy booking service via Online/Mobile App and free cancellation. Safe, Secure and comfortable ride up to the destination. Easy and flexible payment options.